Can you do banking without a banking license? Clearly, to be a deposit taking bank and offer products like Mortgages, loans, savings accounts and so forth, it would be easier to have a bank charter. However, today the lines between banks and non-banks offering financial services is blurring faster than speculative investors dumping shares for Facebook. There are many types of ‘banks’ or organizations that use the word ‘bank’ to describe their business activities such as Photo Banks, Seed banks, Sperm Bank, DNA bank, Blood Bank. There are also organizations that use the word bank in their name for other reasons like the “Bank Restaurant” in Minneapolis, JoS. A. Bank Clothiers and others. JoS. A. Bank offers a Pre-paid Gift Card program for individuals and corporates that has the name “Bank” in it’s offering, but isn’t regulated by industry. Bank Freedom, from Irvine California, offers a pre-paid Mastercard Debit Card but isn’t regulated as a bank. Despite some claims to the contrary, it isn’t actually illegal to call yourself a ‘bank’ or have ‘bank’ in a tradename. In some states in the US, you might have difficulty incorporating yourself as a “Bank” if you have bank in the name of your company and you’re intending on offering financial services. But then again CIticorp, JP Morgan Chase, HSBC and others don’t actually have “Bank” in their holding company name. You don’t need the name ‘bank’ in your name to be licensed as a bank, and having the name ‘bank’ doesn’t force you to be a chartered bank either. Then there are the likes of iTunes, PayPal, Dwolla, Venmo, Walmart, Oyster card in the UK, Octopus in Hong Kong, and the myriad of telecoms companys who offer pre-paid contracts, who regularly take deposits without the requirement of a banking license. In some markets, this has resulted in a subsidiary ‘e-Money’ or basic deposit taking licensing structure, but these organizations do not have the restrictions, regulations or requirements faced by a chartered bank. For more than 7 million Americans, 11 million Chinese and many others, their basic day-to-day method of payment in the retail environment is a pre-paid Debit Card (sometimes called a “general purpose reloadable” card). The pre-paid market is expect to reach an incredible $791 billion in the US alone by 2014. What’s the difference between a prep-paid debit card account in the US and a demand deposit account from a chartered bank? Both can be used online commerce and at the point-of-sale. Both can be used to withdraw cash from an ATM machine. Both allow cash deposits to be made at physical locations. Both can receive direct deposit payments like a salary payment from your employer. Often pre-paid debit cards can offer interest on savings also. So what can’t a pre-paid card do that a typical deposit account can? Most prepaid cards don’t allow you to write cheques (or checks), deposit more than a few times a month, keep a balance in excess of $10,000, make transfers/payments that exceed $5,000 per day, and/or going into the red with an overdraft facility. For many customers who use pre-paid debit cards, these are not restrictions at all – and thus the card represents an alternative to a typical bank account from a chartered bank. Behind the program managers of pre-paid cards there is an issuing bank with an FDIC license in the US, but the program manager is not regulated as a bank. That nuance may be lost on some, but for the customer they are generally completely unaware that there is a “bank” behind the card – they simply see the program manager as the ‘bank’ or the card as a ‘bank account’ based on the utility provided by the product. Today PayPal, Dwolla, Venmo and others offer the ability to transfer money via P2P technologies that mimic the likes of the ACH and Giro networks. I think it is fair to say that no one considers these organizations to be ‘banks’, but until recently (certainly prior to the Internet) we would have considered the activity of these businesses to be “banking”. Now you could argue that PayPal is more like a WesternUnion than a Bank of America, but the point is that these organizations are increasingly attacking traditional ‘bank’ functionality. Then you have P2P lenders who in the US have offered more than $1 billion in loans since 2006, despite not having banking licenses. Today banking is not restricted to those with banking licenses. Banks no longer have an exclusive on the business of banking. If they did PayPal, iTunes, Dwolla, and the myriad of prepaid debit cards would be illegal. They are not. If they did, you couldn’t deposit money on your prepaid telephone contract without visiting a bank branch. If they did, you couldn’t send money to a friend without a bank BSB, sort code or routing number. The assumption that only banks can do banking is a dangerous one, why? Because often, like any other industry suffering from competitive disruption, the only thing that forces positive change on an industry mired in regulation and tradition are competitive forces. Sometimes those forces result in the complete disruption of the industry (see Telegraph versus Telecoms), other times it results in fragmentation. The activity of ‘banking’ is going to become a lot less defined, owned or identifiable in the next few years as many non-banks start infringing on the traditional activities of banking, and as banks are forced to collaborate more and more to get their products and services into the hands of consumers. While we still have banks doing the heavy lifting, much of the basic day-to-day activities of banking will become purely functional and will be measured by consumers on the utility of that functionality, rather than the underlying regulation of the company or institution that provides it. Thus, customers won’t really care if a bank is at the front end or what it’s called; just that they can get access to banking safely, conveniently and securely. What will regulators have to say about this? Well that’s an entirely different matter. As the news of Steve Jobs’ resignation rocks the world today, it’s almost like we’re reading his obituary rather than the news that a Fortune 50 CEO has moved on. The impact of Steve’s resignation will be felt hard on Apple’s share price no doubt, and even potentially hit the very fragile US market at a time of uncertainty. Although Apple’s leader has had a question mark over his health for some time, the eventuality of the departure of such an iconic leader was always going to hurt. When we look back at the amazing career of Jobs, the creation of Apple, his messianic return to Apple in 1997, the 200 patents filed under his name (although he has no formal engineering qualifications) and the meteoric rise of Apple Stock – from $7 a share in 2003 to around $400 today – we see the evidence of something amazing. But how has Steve Jobs influenced financial services, and how will his legacy continue to influence the sector? Although largely attributed to the team at Zerox PARC (Palo Alto Research Center), Apple was the first company to commercialize the Graphical User Interface. The GUI led to the modern computing interface, the creation of the mouse, and the concepts of human computer interaction and usability that are so widespread today. These are at the very core of our understanding of the way individuals interact with devices today. For almost 10 years (1988-1997), Microsoft and Apple were locked in a legal battle over the apparent IP infringement of “Windows” in respect to the LISA and Apple Macintosh GUIs. Regardless of the eventual outcomes of this battle (which ended in a private settlment between MSFT and APPL in 97) the fact is Jobs’ team (that included much of the PARC team) were credited with the first mass market GUI implementation. Since then the GUI has been a basic element of our computing. The VT-220 green-screens of old have long ago disappeared, thankfully! However, Apple totally upped the ante in 2007 with the introduction of multi-touch. Combined with Nintendo Wii launch in 2006, multi-touch saw the emergence of a range of direct input innovations. Microsoft followed soon after with Kinect, incorporating gesture based control. Multi-touch was the first incorporation of human control that was direct input, as opposed to a mouse and a keyboard. Even the Wii was an evolution of the input device – multi-touch eliminated an input device all together. This development has forever changed our expectations of device interaction. Of course, as banks we’re already massive deploying iPhone, iPad and Android Apps for mobile banking, but we’re also incorporating other direct input methods such as gesture recognition and biometrics into the experience. Recently bank branches have started deploying touch screens, media walls, Microsoft surface tables and even facial recognition in signage displays. Itau bank in Brazil has developed an ATM that uses gestures and 3D to control interactions. But the biggest change was not around input, but a shift in the value of the bank in our day to day life. This is not the sole legacy of Steve Jobs and the team at Apple, but when we look back on banking in 10-20 years time when branches have disappeared, we will attribute the destruction of the traditional value chain of banking to the death of the ‘store’. Not all stores are destroyed, of course, but where you have goods or services that can be easily digitized or where distribution does not absolutely require physicality, then the value chain is disrupted. The two big upsets in this evolution of the store were really Amazon’s destruction of the book store, and iTunes destruction of video and music stores. iTunes was the more significant disruptor for banking, because the “App” has disrupted the retail financial services distribution platform by changing ownership of the customer experience. Today banks who want customers to have access to their banking through a mobile “App”, no longer have direct access to customers. Customers download the ‘bank’ from Apple or from Google, and banks need to meet the criteria of the ‘store’ before customers can get access to that functionality. In the future the destruction of the physicality of banking from branches, cheques, cards and cash will all be attributed to the emergence of the iPhone. The smartphone with Apps, supported by an App store in the initial instance was the trigger for a whole evolution of interaction on-the-move. Then the mobile wallet and distributed, pervasive, engaged banking through a device that enables payments and connects customers with their bank everyday, will eliminate the need for “the bank”, but not banking products and services. When historians look back at the massive shift in banking and the rapid decline in branch activity, the death of cheques, plastic and cash – the inflection point will be the creation of the App Phone. This is perhaps Steve Jobs’ greatest legacy for banking today. He has changed the way our customers behave, he’s changed the way we think, and the way we demand service. Thanks to Steve Jobs’ vision – banking of the future will be about banking embedded everyday into our life, a true utility, and no longer a place you go. In the end when the dust settles, there will still be banks at the backend owning the wires, payments networks and carrying the risk, but they won’t own the customer. The customer will hardly notice banking embedded in their daily life as they go shopping with their phone, as they buy a new car or home, or as they travel overseas or send their kids off to college. It will just be a part of our everyday life, and my kids won’t even remember the days when you used to have to go to a building before you could do this stuff. The Beatles are arguably one of the most successful bands of all time, but their foray into the digital music space has long been frustrated. In their first week on the iTunes store, however, the Beatles amassed a staggering 2 million individual song downloads and over 450,000 in albums sales. Not bad for a band who stopped recording music 30 years before the iPod was even invented. Their success is evidence of something else entirely, and it should terrify banks mired in physical methods of banking. The fact that The Beatles held out on launching their ‘content’ into the digital space for so long is sadly typical of many very traditional businesses confronted with changing modality and business models. The Beatles conflict intellectually with the digital space actually commenced as a legal battle between Apple Computers and Apple Corps (The Beatles Holding Company) that started more than 30 years ago in 1978. At that time The Beatles filed a lawsuit against Apple Computers for trademark infringement. In 1981 the initial case was settled for just $80,000. Conditions of the settlement were that the two “Apples” would not infringe on each other’s businesses, i.e. Apple Computers would not enter the music business, and Apple Corps would refrain from selling computers. Thus, in 1986 when Apple allowed users to record songs to their computers, it was perceived they were in breach of that agreement. The legal jostling continued until February 2007, when a reported settlement of some $500 million was reached over the trademark dispute in favor of Apple Corps. Confronted with the digital age most of the recording industry bristled. They saw changing modality, a shift to digital music as a threat to their entrenched distribution channels. Rather than embrace digital distribution the likes of the RIAA, when confronted with innovation in their sector, lashed out with lawsuit after lawsuit, starting with the famous case against Napster. The RIAA’s strategy was built on the sole premise of trying to prevent people from using file sharing networks so their existing distribution networks could be propped up indefinitely, and they celebrated Napster’s decline into bankruptcy as a sign of success for this strategy. Clearly most saw the writing on the wall, but rather than change, the RIAA and the industry as a whole buried their head in the sand, hoping to limp along till change was absolutely inevitable, or worse thinking that they were immune to change. By all accounts, the RIAA was woefully unsuccessful in this strategy. Today, new artists live or die based on their ability to move product in the digital space, and The Beatles move at long last into the digital space singles that the last bastions of support for traditional, physical music distribution is crumbling. In fact, physical “record” sales peaked in 1999 at $14.65 Bn. By 2007 Physical sales of music content were already less than in 1993 having reduced to around $10 Bn, and by then end of 2010 it is expected digital music sales will finally overtake physical sales all together. Clearly the sector was in massive trouble with its decision to resist digital sales and the hundreds of millions spent by the RIAA on legal bills were largely a complete and utter waste of money. Those precious funds should have instead been put into revitalizing the industry digitally. The RIAAs actions in this light were reprehensible. Others have faced similar battles in recent times, including Blockbuster who filled for Chapter 11 in September of this year, clearly signaling the near death of physical distribution of DVDs. Encyclopedia Britannica faced the same type of troubles when Microsoft introduced Encarta to show Windows’ multimedia capability in the mid-90s. This almost spelled the end of Britannica’s 300 year old business overnight. What is under attack here is not DVDs, it’s not The Beatles, RIAA, Books or CDs and vinyl – what is under attack is Physical Distribution of goods that can easily be digitized. In that sense, the bank sector is in massive trouble because almost everything a bank does can be digitized. Much of what our banking experience today means is wrapped up in the banking sector’s love of physical distribution. The centre of retail banking from an organization structure perspective in most cases remains the branch, which started life arguably as a physical distribution point for cash. Branch P&Ls exceed ‘digital’ by a factor of 50-100 times in most retail banks of today – an inequity that speaks volumes to ghastly outmoded thinking in bank boardrooms. Cash, Cheques, Plastic Cards, Branches themselves are all inevitable victims of this modality shift. This strategy is massively flawed. 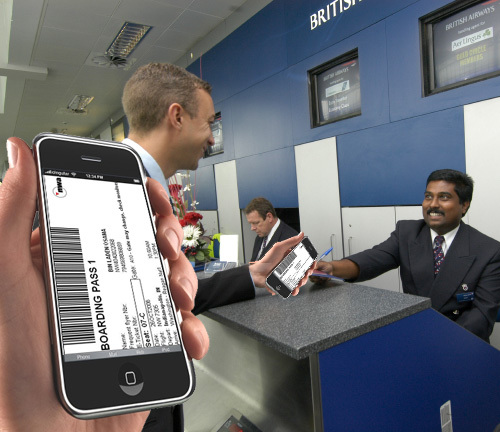 While improvements in customer service should be applauded, the fact is, based on distribution metrics, take up of mobile banking, internet banking, mobile payments, and other such indicators, the investment should be going into improving customer journeys, experience and service in the digital space. Most banks need to increase their investment in the digital space ten fold in the next 3 years at a minimum. Like The Beatles, most banks when threatened with this modality shift, will find it extremely uncomfortable. The reality is, though, if they embrace the change revenues will follow. To give you some indication of the vast gap between shifting modality and the reality of bank distribution strategy, most banks still classify Internet Banking as a ‘transactional platform’ for saving distribution costs. For most customers today, though, they are 30-50 times more likely to visit your bank by logging in to Internet or Mobile Banking than visiting a physical branch. The problem with bank strategy in this respect is, if you come to a branch a core strategy is to try to sell you a new product. Today, most banks don’t sell anything through Internet Banking. If they did, most banks would be shocked to find out that they’d be actually selling more product online than through their entire branch network today. It’s not branches that is under threat today – it is physical distribution. Banks can take the music industry approach and stick their head in the sand until things are absolutely inevitable, or they can adapt. As of May this year, only 4% of US FDIC insured institutions in the United States had any sort of mobile play, a small subset of this group had iPhone apps, and an even smaller percentage had Android apps. We already know that mobile Internet based banking is the fastest growing interaction channel for banks today, so this level of commitment by the industry is quite concerning. So why so slow? The challenge is that iPhone came into being in 2007 and it wasn’t even on the radar of banks generally. Organizations like Bank of America (who launched their App in July 2007) were an exception. Wells Fargo, for example, was the last of the big 4 banks in the USA, and they didn’t launch their native iPhone App until May 2009. By 2008, when many banks were considering launching an iApp, the Global Financial Crisis was upon us and budgets were being slashed, so rather than cut Bonuses, we saw bankers cut discretionary spending in the areas of IT. Mobile was often the first to go, because the attitude was “we don’t have to worry about that yet…maybe in 10 years time”. 2009 the budget woes continued, and 2010 was about rebuilding trust so the focus was on keeping costs low so that improvement in net earnings could be demonstrated to shareholders. 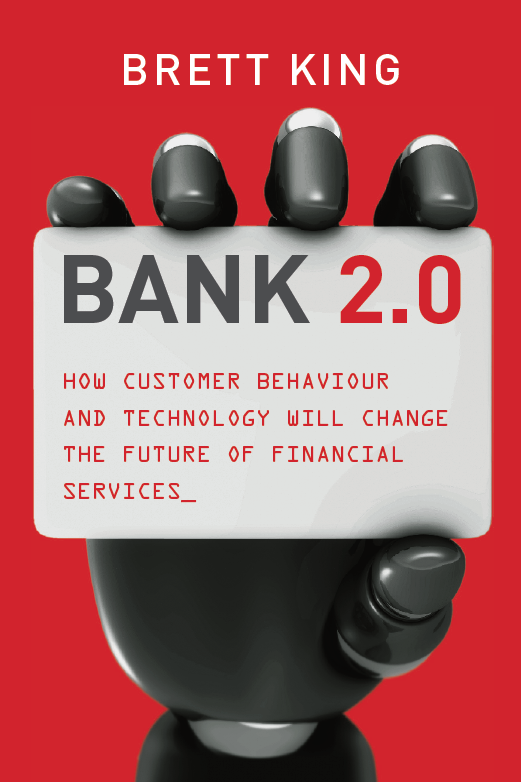 Thus, we approach the start of 2011 when many banks will be thinking about mobile for the first time realistically. This is all woefully lagging the customer behavior curve, but good to finally see the majority of banks are starting to think of ways to enable customer behavior through the mobile device and now committing to not only iPhone, but Android platforms too. By 2015 the day-to-day interactions of the average retail customer will be very different. Driven by changing customer behaviors, increasing pressure on our time, increasing customer expectations around improved interactions and journeys, etc will drive a complete shift in channel priorities. By 2015 the #1 interacted channel (or by frequency if you prefer) will be mobile, #2 internet on the desktop and TV, #3 ATM, #4 Contact Centre, and #5 in the branch. Even #1 and #2 might tend to look a little the same; in that, as devices like the iPad become more capable the lines between ‘mobile’ and desktop blur, so the issue of the ‘journey’ or the interaction itself becomes very critical. It’s not just one App that we will need either. There will be a bunch of interactions we’ll be managing in this space. Increasingly those journeys will become contextually integrated and delivered via HTML 5 no longer restricted to an “App” or browser-based, instead being based on a contextual trigger, event or service opportunity. So obviously banks need to make a big P&L commitment to mobile as a channel and to journeys as a philosophy for serving the customer moving forward. So how is it that I advocate that you don’t need to worry about developing your App? Last week I visited with the multi-channel team at VTB24 in Russia. They are the second largest retail bank in Russia and have close to seven million customers. Given the growth in smartphone adoption and mobile usage in general in Russia, just like everywhere else in the world, there is an obvious urgency to investing in mobile platform development. This was the challenge presented to the VTB24 team. VTB24 was strongly committed to a mobile App for the iPhone platform, but budget constraints being what they were, they didn’t expect to be able to invest in the development of the App until 2011. Some preliminary conceptual work had already been done, but the platform wouldn’t be mobilized till next year. They already had previously deployed WAP-based banking but this was looking tired compared with customers expectations for App-based mobile banking. WHAT?!? This was Daniel’s immediate reaction. This can’t be right?! After all, he was the one tasked with developing the App, if someone else in VTB had been working on something, he would have known. So he logged on to the iTunes store in Russia and sure enough, there was the App for download. The immediate reaction was to suspect foul play. That someone had created an App to phish identity details from customers or use man-in-the-middle technology to conduct electronic theft. However, after requesting source code from Apple, VTB24 found that the App had no suspicious content, and in fact, had adapted the iPhone APIs around WAP commands to convert the mhtml-based commands of VTB’s to a workable iApp. An elegant, and workable solution. Daniel then tracked down the developer and had a simple question? Why on earth would you do this? There is a lesson here. Sometimes due to embedded politics and internal gaming, we want to control such ‘projects’ as the “iPhone App” internally. We might argue around compliance, risk, security, etc, but this approach shows that by thinking outside of the box, we could actually have much quicker innovation in the customer space than we currently do. The moment we turn the “iPhone App” into an internal project, we are essentially guaranteeing a 3-9 month turn around time to implement and launch. By engaging a developer community, we could reduce this time, cut costs, and probably end up with some really creative solutions that we would not have thought of ourselves. Take this on the road. Try to breakdown the barriers and IT silos in respect to production of new channel solutions. The end result may be better than anything we could do internally. You know what – change is a funny thing. For me, I can’t wait untill I can watch all my movies and TV shows on demand instantly whenever I want without having to worry about which channel it’s on, or which device I’m going to use to watch it – just click and watch. I can’t wait till I can read my latest thriller I bought on my iPad while sitting at 35,000 feet depending (I’ll still read the hard cover at the coffee shop though!). I can’t wait till I can walk on to my next flight without needing a physical boarding pass, and I can’t wait till I do my first payment by swiping my phone instead of my credit card (in fact I already have really). For me technology adoption is not only a way of life, but it’s just plain cool. It is apparent, however, that some others amongst us, don’t really like all these new fangled internet thingys and are a little challenged by change. I was in one of my regular bank strategy sessions the other week when I challenged the concept of free-to-air TV. In BANK 2.0 I predict that free-to-air TV can not really survive beyond about 5-7 years, because with TVC Ad revenue plummeting, beyond the state financing TV stations there is simply no viable business model that can sustain free-to-air. Why I raised this issue was, with only 18% of TVCs even having partial ROI these days, that marketing teams had to start thinking about moving away from traditional broadcast advertising as quickly as possible to point-of-impact. It was at this point I was challenged by a member of the audience who shouted out “you’ll never get me paying for sports on TV!”. In fact, and this might seem just a little bizarre to those of you who live in other countries, recently a lobby group has come up with a campaign to ensure just that in Australia – it’s a website and massive TV/Print Ad campaign running in Australia at the moment called www.keepsportfree.com.au. I’m sorry – that’s just … ridiculous – think new mediums people!! No matter how hard you lobby, no matter how hard we want things to stay the same, there is an inevitability about the way technology adoption changes consumer behavior, and hence the way it changes business, consumption and transactions. The most coveted skill in business today should be the ability to accurately read these trends and help your organization adapt accordingly. I know I’ve discussed it before, but the launch of electronic stock trading by Charles Schwab is a great example. Looking back even Merrill Lynch probably realize that this was a positive game changer. The reality is it really had to go this way eventually, regardless of who took the helm. The fact that we can use advisory sites, online research, and analytics tools to give us real-time information even better than what most (not all) brokers could gives us, says what it’s all about – where does the value lie? Not in a human interaction – but in the ability to execute the trade itself. Branches of banks face the same conundrum today. For media content like TV shows, music, news it is likewise inevitable. Why should I wait until 8/9 central to watch that favorite series that I love, why can’t I just schedule it for download as it’s released online and then just watch next time I have a spare 40 minutes? Why would I physically walk into a music store to buy a CD – after all how can I get the tracks onto my iPod that way? Carry a newspaper on the train to read? Come on… These are all outmoded interactions; interactions that have no place in my life in the 21st Century. You see these changes are inevitable. When Napster launched the recording industry went after the start-up and other similar businesses with the focus of a velociraptor, and for a time they thought they had succeeded. In 2008, however, 95% of songs were downloaded illegally, why? Mainly, because the recording industry failed to provide legal means to access this content online – they were too slow to adapt. When iTunes did provide a legal channel for the same – they made gazillions. In addition, artists actually can make more money in the digital age, while record companies provide minimal value in the value chain of the new world. This is why I am choosing to embrace change. I don’t want to keep my free-to-air TV, my physical newspaper and my gas guzzling SUV – I am ready for change, and I recognize it is inevitable. If I am prepared for change, then I’ll undoubtedly capture those customers that are likewise ready for change, and they are the majority today. I can adapt or see my value chipped away until my business is worthless.